Sander Crombach will take you on a journey to learn how to create digital products, convince stakeholders, and digitally transform entire organisations. One of the recent developments in the field of innovation management is the rise of a design-driven approach to innovation. This class will teach you all about this. INNOVATION IS A BIG CHALLENGE FOR MANY BUSINESSES AND ORGANISATIONS. It touches on different parts and dimensions of an organisation; from services, products, customer value, and delivery processes to revenue models, interfaces with customers, customer experiences, and more. One of the recent developments in the field of innovation management is the rise of a design-driven approach to innovation. In this online class, you will have the opportunity to learn more about what design-driven business innovation is and how it can create value for you and your organisation. Sander will share with you his cutting-edge knowledge and valuable insights gathered over the past 12 years while working with different in-house teams for a wide range of companies, startups, and non-profit organiSations worldwide. UX is not just about designing wireframes – it's a way to transform how organiSations work. Sander will demonstrate how to set-up a user-centric software development process and how you, as a UX designer, can expand and take control over the entire process of creating digital products by using the design thinking methodology. Real-life examples and case studies will drive the class. You will learn how to involve end-users in the process of creating digital products, convince stakeholders, and eventually, digitally transform entire organisations. All participants will receive a Certificate of Participation signed by the instructor. Innovation is a big challenge for many businesses and organizations. It touches on different parts and dimensions of an organization; from services, products, customer value, and delivery processes to revenue models, interfaces with customers, customer experiences, and more. One of the recent developments in the field of innovation management is the rise of a design-driven approach to innovation. In this master workshop, you will have the opportunity to learn more about what design-driven business innovation is and how it can create value for you and your organization. 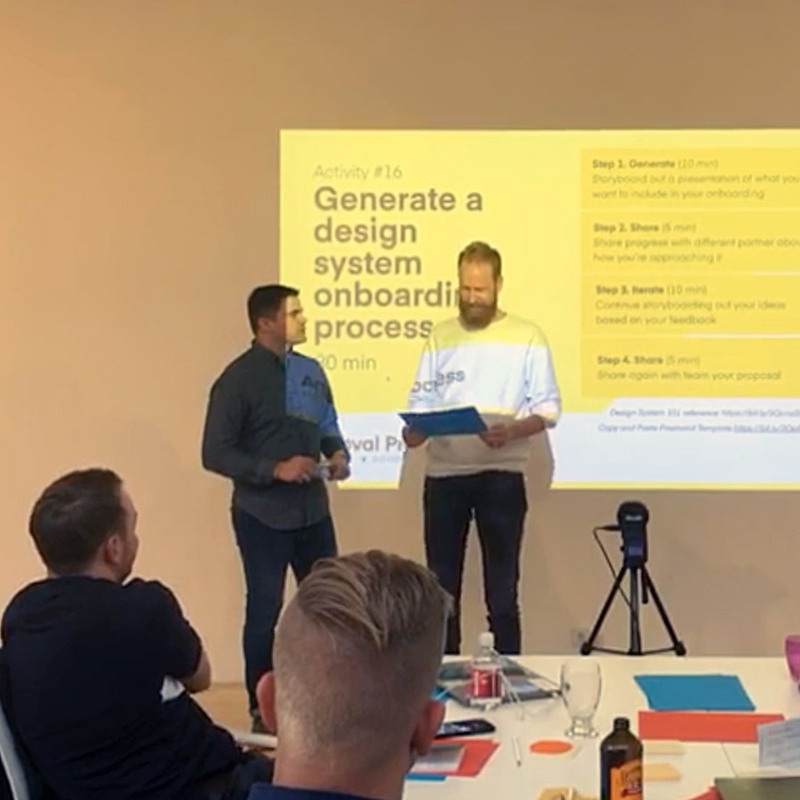 In this course Drew Bridewell, a senior design specialist from InVision, will share a wave of packaged up fresh design system content that will help you elevate your thinking around design systems, as well as the practice that goes into successfully implementing one yourself.